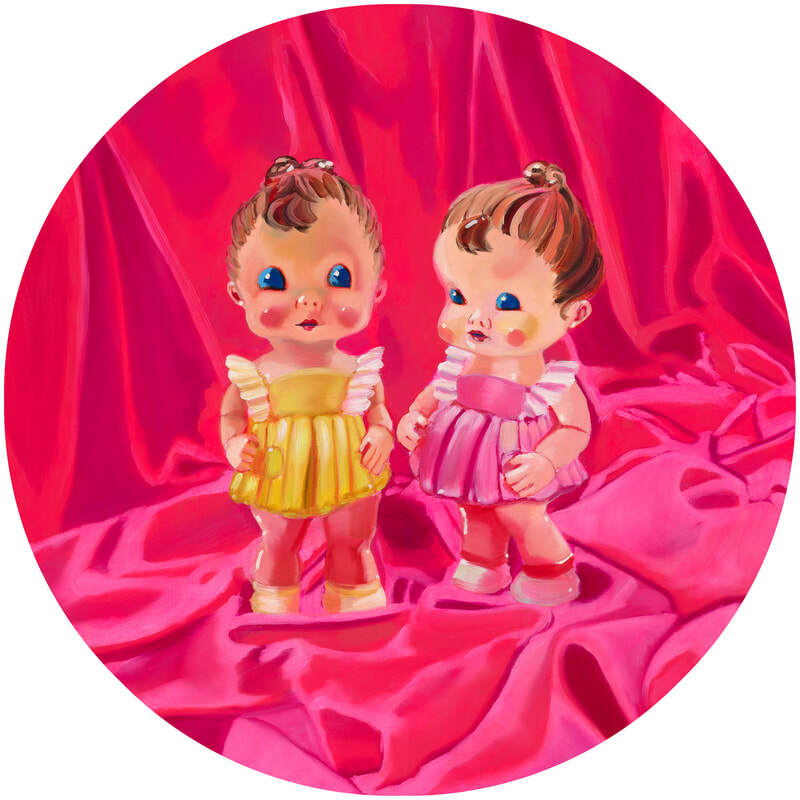 This series of oil paintings on 20” round panels investigates the pomp and circumstance of the feminine spectacle. 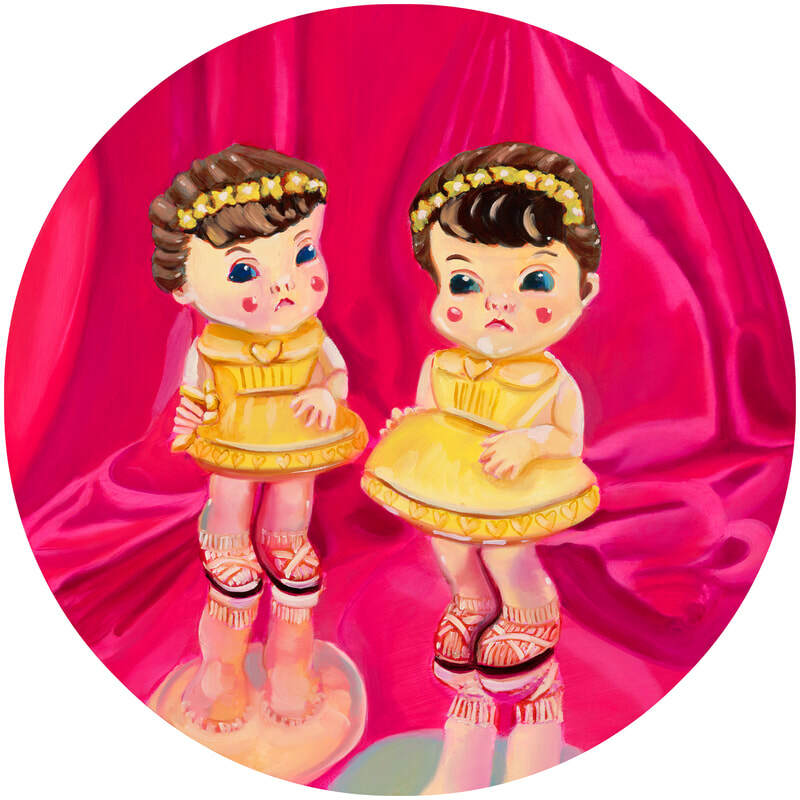 By personifying vintage dolls from the 1950s (Made in Japan, distributed in America), both the thrill and unnerving suffocation of female expectation are visually explored. 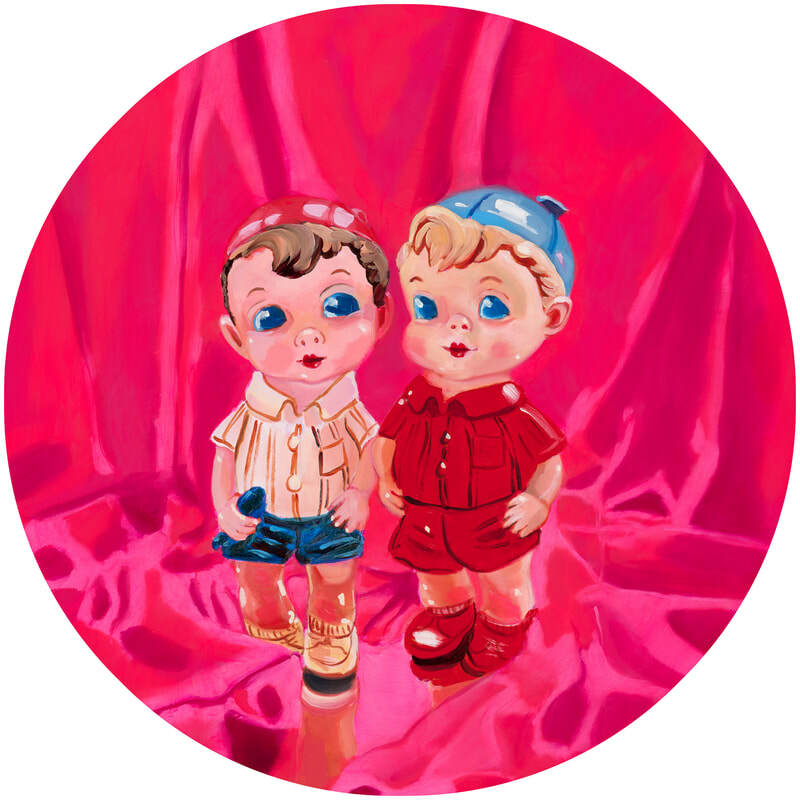 Set on a pink velvet, mirrored stage these still life objects perform dated gender norms that simultaneously sting, visually please and entertain. 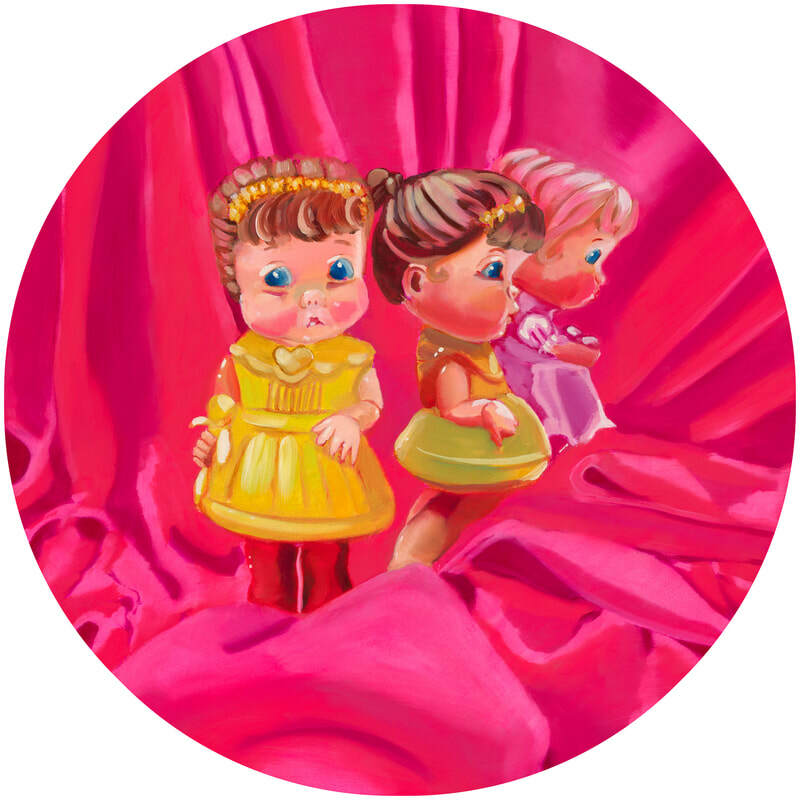 Each scene depicts a pink parade of strength, resistance, costume and pressure. I took this as an opportunity to reflect on these childhood toys/ tools to teach about gender and examine them through the lens of modern feminism. 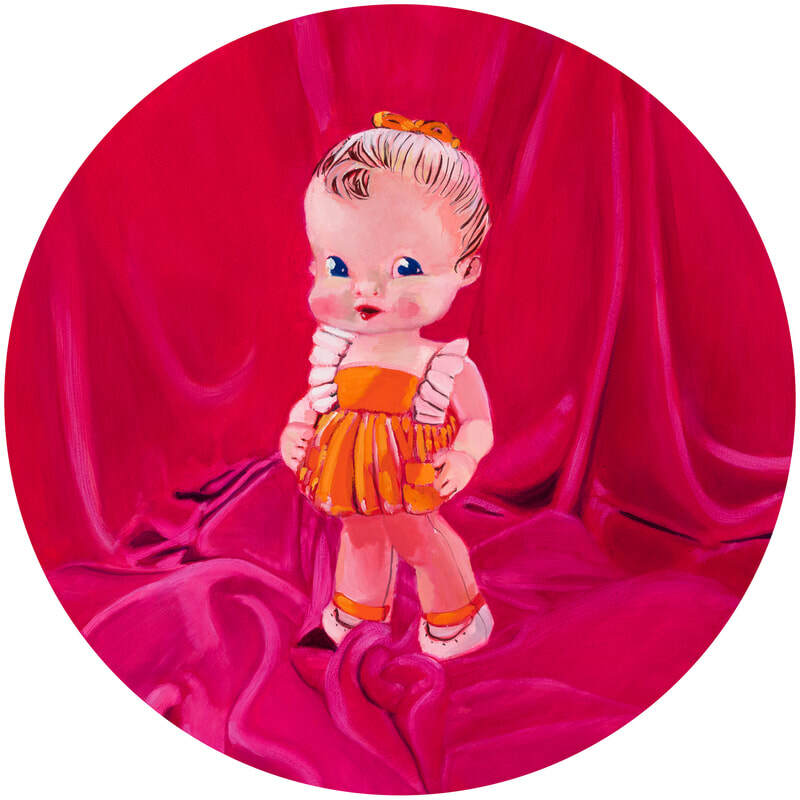 Throughout history girls have been groomed to compete for the attention of future husbands, often encouraged to act like dolls (silent beauties with painted on smiles). 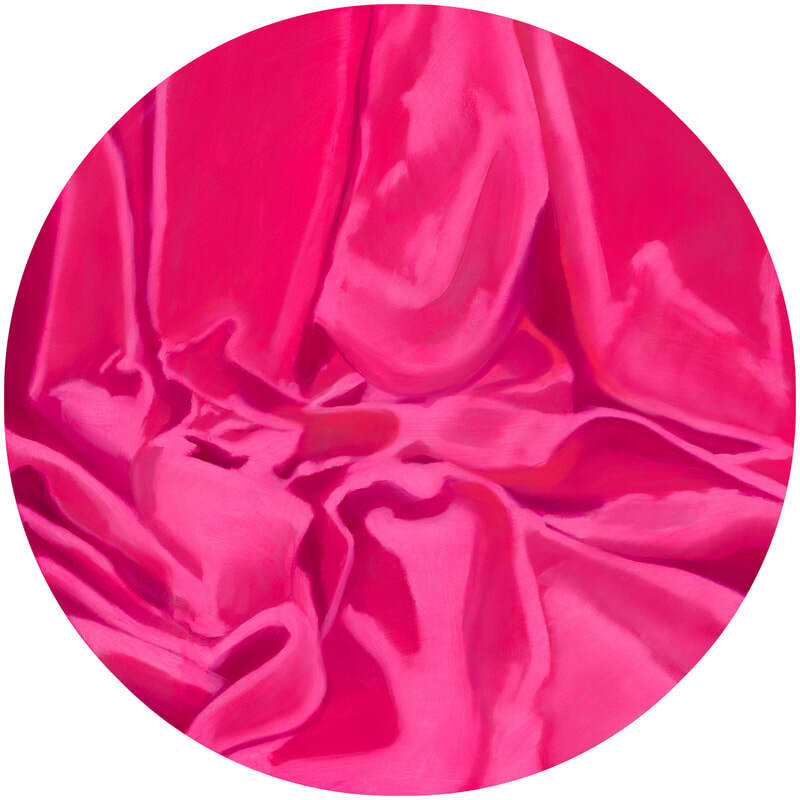 These oil paintings explore the oscillation between the idea of “female” as dainty or fragile and a resistance to that idea. 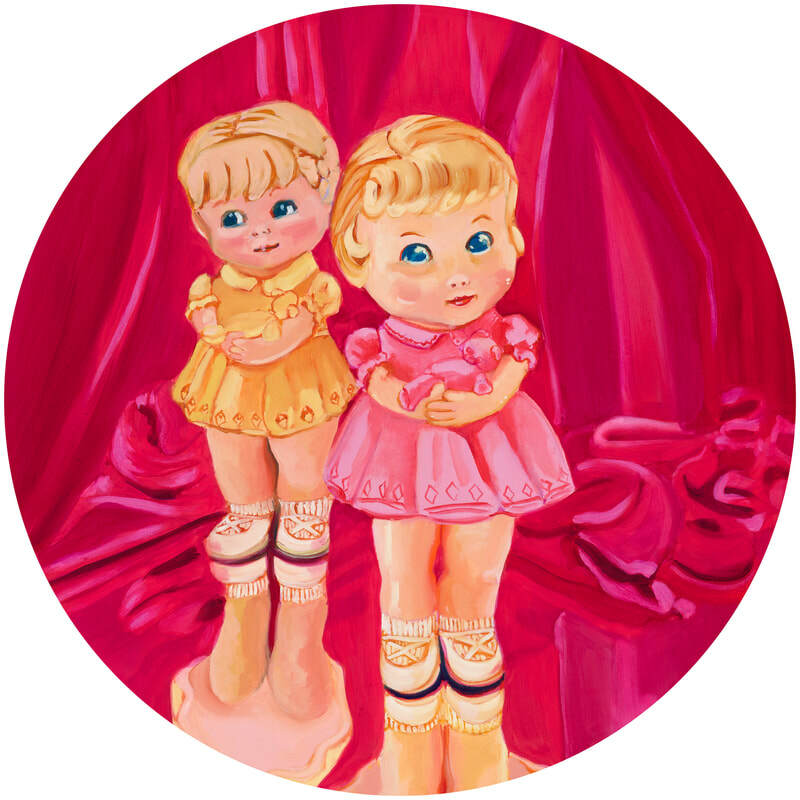 The painted round panels offer up a visual ride like a never-ending waltz, ever increasing in tempo. 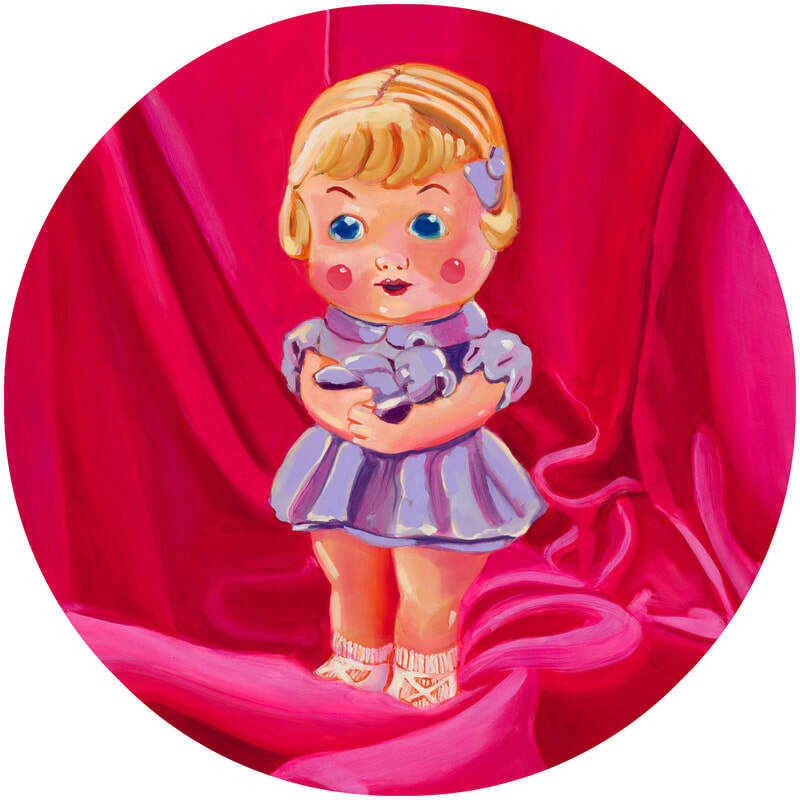 Extra shiney, rosey and wide-eyed, the theatrical paintings harken back to school yard rhymes including Miss Mary Mack. Broadway musical influences from Rosemary Clooney’s Sisters to Barbra Streisand’s Hello Dolly are sprinkled throughout the series. 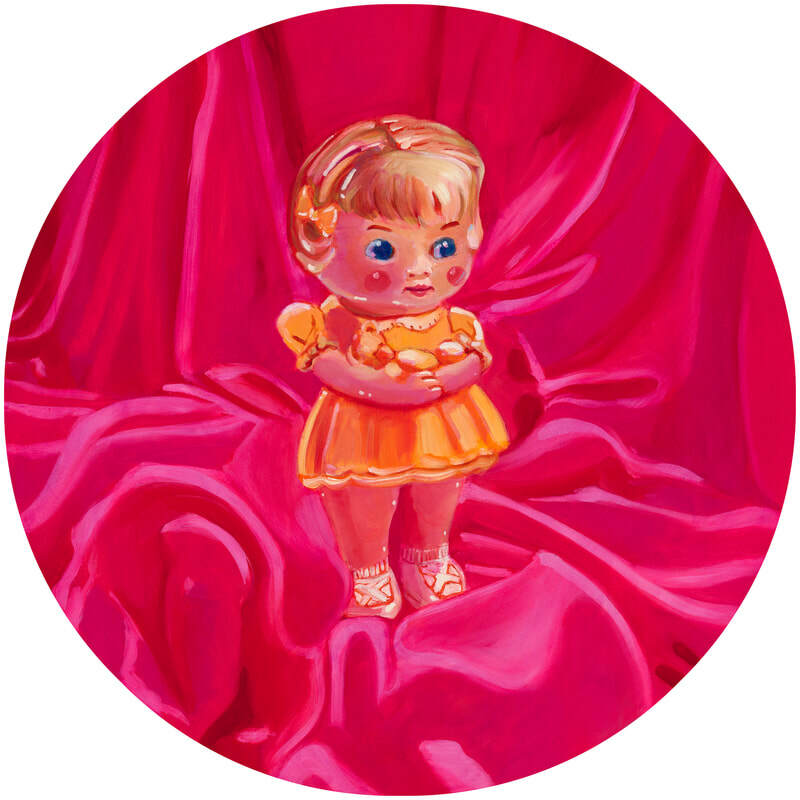 Playing the Part will manifest in the form of 20 oil paintings on 20” round panels in 2019. Select thumbnail for larger image.